JetSuiteX is partnering with For Richmond to give free trips to Los Angeles for Richmond youth. The tickets usually sell for $99. A Richmond-based nonprofit is offering 20 children in grades five through eight a chance to fly in style from Concord to Los Angeles. The trip is part of a new day program meant to provide underserved youth with cultural and educational experiences. For Richmond, a nonprofit that works to improve community health, has partnered with travel company JetSuiteX to provide the day trips. The tickets will be offered once in spring and once in summer, with the first flight taking off from the Buchanan Field Airport in Concord and landing at the Burbank Bob Hope Airport in Southern California on May 23. Local teachers will nominate students for the trip based upon academic improvement. The program "aims to reward and encourage children who may not have performed well academically in the past, but who have worked hard to improve their grades," according to a statement from For Richmond. The "LA for a Day" trip will include catered lunches and visits to Museums and other educational centers, completely free of charge. “In launching our LA for a Day program, my greatest hope is to ignite that spark in our children that spurs them to reach higher and keep flying beyond their neighborhood skylines after this trip,” said Kyra Worthy, Executive Director, For Richmond. 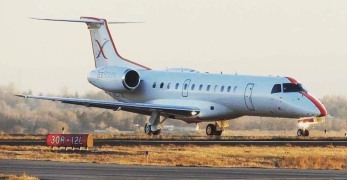 JetsuiteX, which launched last year, operates out of Concord and usually sells flight tickets to Los Angeles $99. To nominate a student, send an email to info@4richmond.org. Visit For Richmond's website for more details.